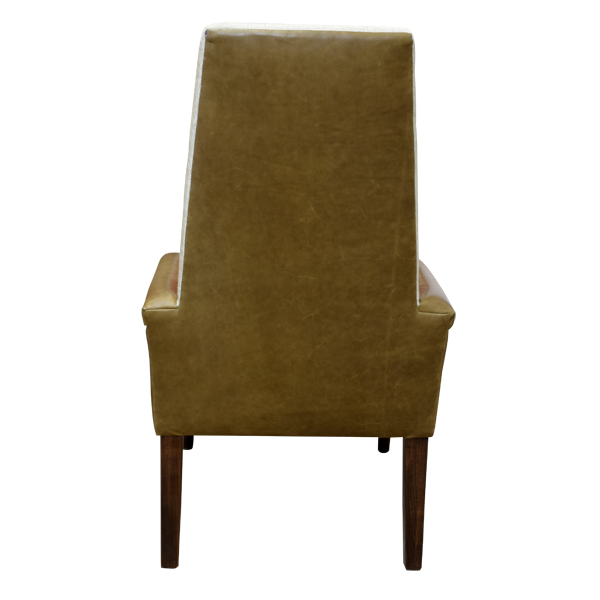 A pair of these handcrafted armchairs will look great next to the fireplace, or at either end of your dining room table. 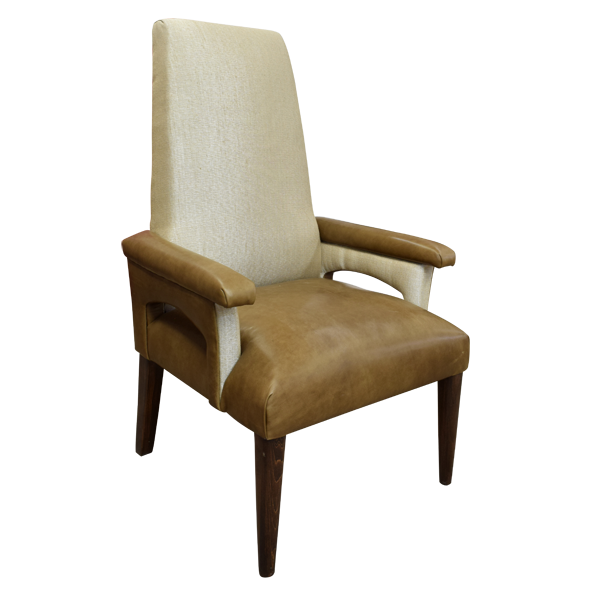 Beautifully upholstered in neutral colors, this custom armchair will easily blend with your existing furniture. 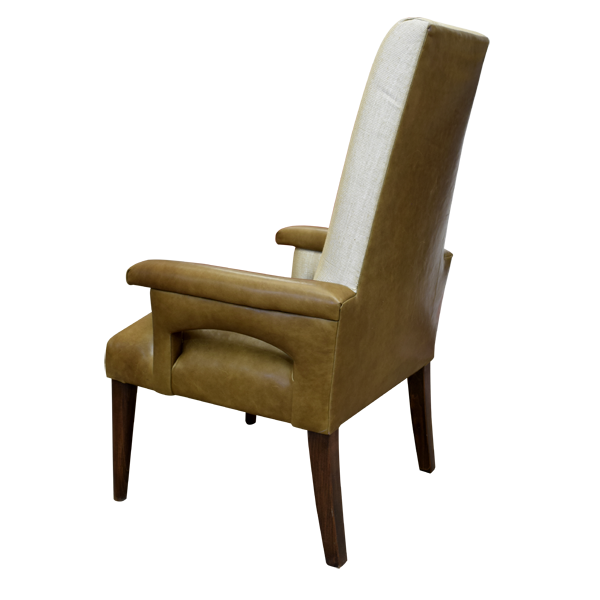 The seat, the armrest, and the reverse seat back of this chair are upholstered in light brown, full grain leather. 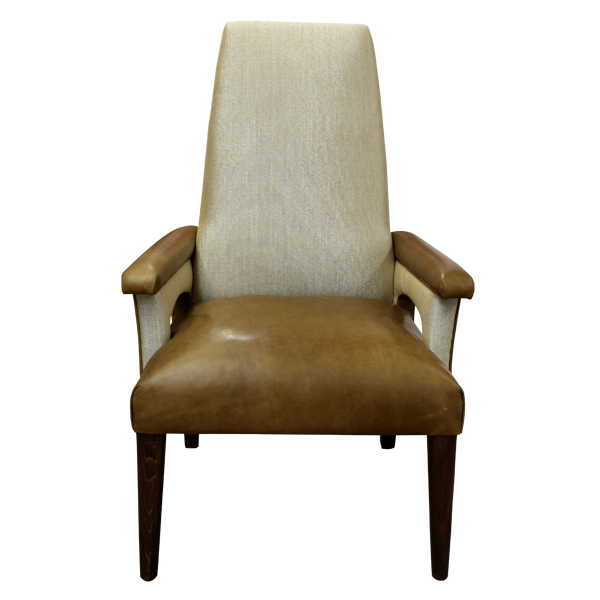 The inside seat back is upholstered in cream colored, fine fabric. 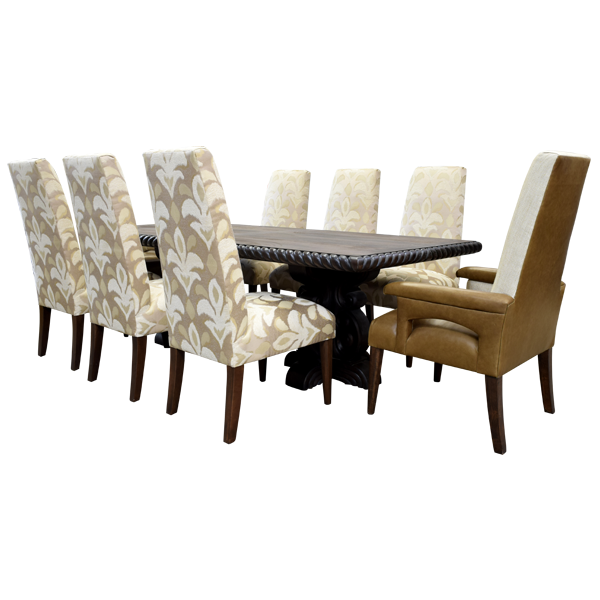 The upholstery is precision hand tacked to the entire wood frame by our skilled craftsmen. The chair rest on straight, front legs, and slightly splayed, back legs. 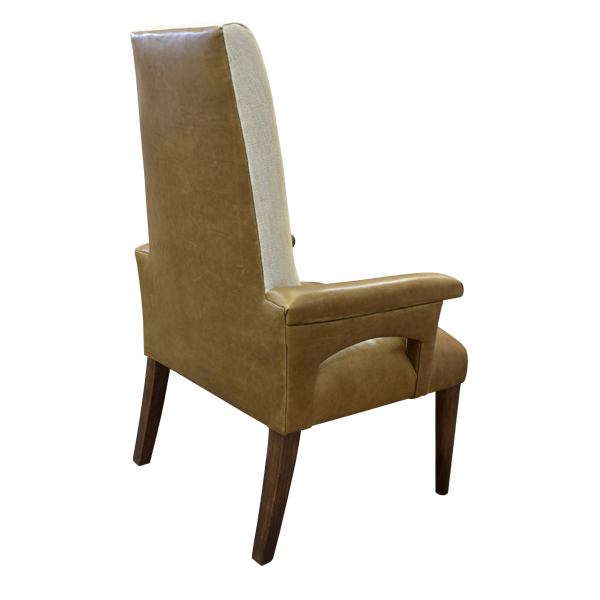 Both durable and beautiful, this custom chair is made with the best, sustainable, solid wood available. It is 100% customizable.